Doesn’t matter if you’re just starting to establish a relationship with your psychic advisor or have an advisor that has seen you through thick and thin, there are ways that you can enhance your experience in order to gain deeper insights and more clarity with your reading. While much depends on your relationship with the advisor and their abilities, there are things that you can do, or not do, in order to help make the most of your reading. Keep these tips in mind the next time you consult a psychic for guidance. Finding the right psychic for you is a lot like dating—you might have to go on lots of first dates before you find the one for you. Remember, each psychic is a unique individual and their gifts will manifest in a variety of ways. Keep reaching out until you find a psychic that makes you feel comfortable. If you don’t feel comfortable and if you don’t feel at least a spark of connection, then your results are always going to be a little off. It’s worth it to take the time to find the right psychic for you. Ask your question, but be open to the answer. Many times you will turn to a psychic in times of crisis, doubt or loneliness. You will have big questions about your life and the direction that you’re going in and you want answers, now. Have a little patience and open your heart, and mind, to the answers that you receive from the psychic. There will be times that you think you are calling about one issue, but the psychic discovers that there is another unexpected issue at play in your life. Trust that your psychic has your best interests at heart and will pass along the message that you need to hear at the moment. 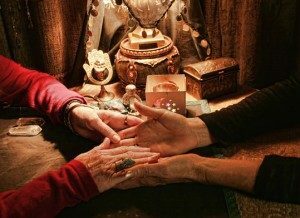 A psychic reading is a conversation and all good conversations have two, or more, active participants. Don’t sit there and expect the psychic to read your mind. If you have specific questions, ask them. Listen to the answers and ask for clarification if what you’re hearing doesn’t make sense to you. It’s likely that you’re turning to the psychic to receive answers, and you shouldn’t leave the session with even more questions. They will want you to have clarity and shouldn’t be afraid to address your questions or further explain the message they have for you. Nothing good comes from insisting that a psychic use a tool that they aren’t totally comfortable using. If you feel strongly that you want a tarot card reading, then you should seek an advisor who specializes in reading the tarot. Many advisors will accommodate your requests, but if they don’t specialize in a specific tool, then they might not be receiving the clearest message using that method. If you are really out to improve and enhance your next psychic reading, the best thing you can do is to give in to the experience without trying to force results. By keeping an open mind and an open heart, you stand to gain nothing but clarity when you find the right advisor for you.